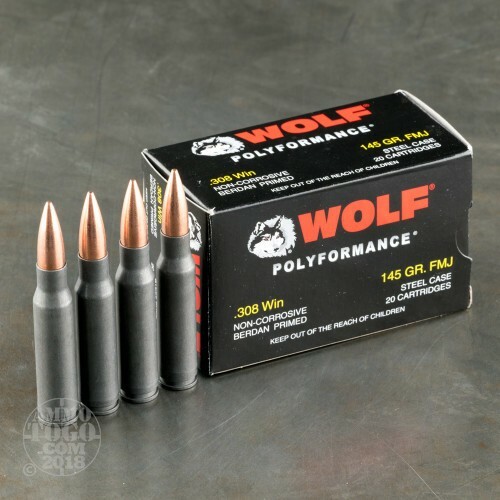 These Polyformance rounds feature the same cost savings that you've come to enjoy from Wolf but with a polymer coating on the steel casings which prevents rust, reduces parts wear, and smooths over feeding and extraction. 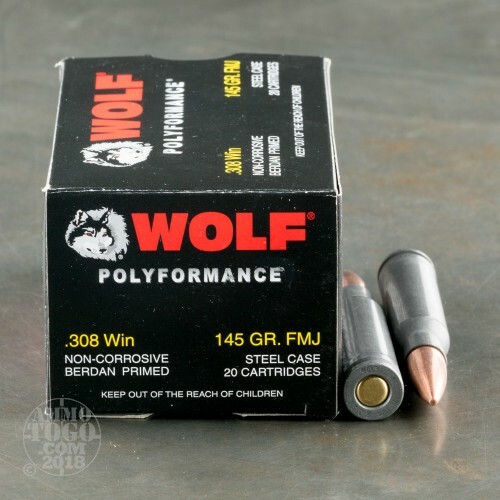 Each of these .308 Winchester cartridges also possesses a non-corrosive Berdan primer as well as a full metal jacket (FMJ) projectile weighing in at 145 grains; this is light for the caliber and offers minimal recoil for relatively inexpensive range blasting and training with your FAL, CETME, AR-10, or SCAR-17s. 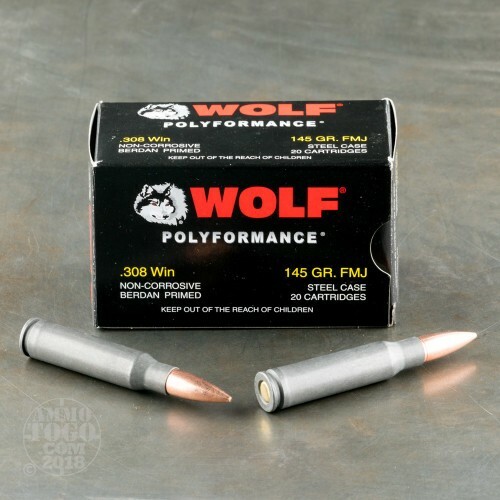 Wolf ammunition is headquartered in California and manufactured in Russia using facilities that has been serving the local military and economy since the early 18th century! 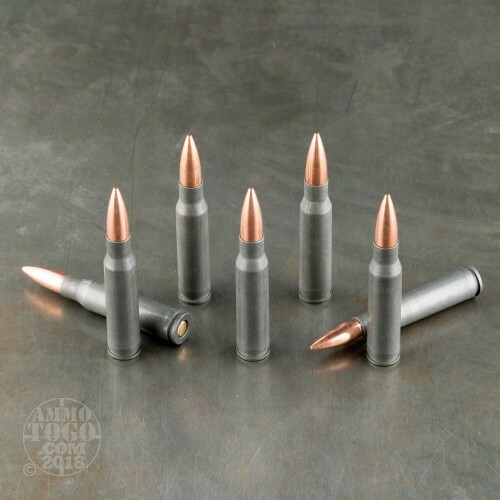 Their experience in mass production for worldwide distribution coupled with constant innovation driven by customer feedback results in ammo that is well suited for any American shooter's needs and budget.